Europe's population is ageing rapidly, yet the majority of car safety equipment is tested using dummies modelled on people under the age of 65. Now researchers are developing vehicles and equipment designed specifically for the physical attributes and abilities of older bodies. When looking at the bare statistics, Europe's roads seem to be getting safer. Over the past seven years, the overall number of road fatalities has gone down by 20%, yet, at the same time, the proportion of older people injured or killed on the roads has risen. They then combined this information to create a 3-D-printed replica of a 70-year-old woman with a BMI of 29 and 1.61m in height, representing the average traits of the older people most commonly injured in road accidents. 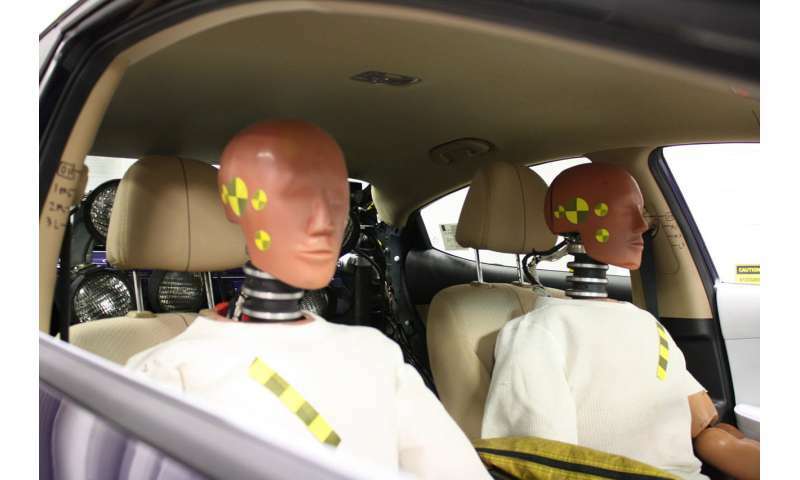 The dummy is currently being used for research, but Burleigh and his team hope that in the future it will be a requirement that all cars are tested using their dummy. One design the SENIORS team are investigating uses two straps criss-crossing over the body. They are also examining the effects of load limiters – devices used in most seatbelts to minimise injuries caused by the webbing – with different restraint systems to see what would work best for an older person's body, without compromising on protection for everybody else. To reduce cognitive stress for the driver, it also includes only the barest essentials – providing the needed control information, but avoiding features like Bluetooth connectivity and USB chargers. According to the research carried out by the SILVERSTREAM team, older drivers don't use the majority of such gadgets. By eliminating them, the price of the car can be reduced, and the aim of SILVERSTREAM is to have the car on the market for an affordable price – in the range of €8,000 – by 2021. Over 70 and still driving, who do you listen to?